*If you have not paid Member Dues please speak to either Mrs.Fogle or Mrs.Stubbs for membership possibility information. If you do not sell your required amount of tickets, you will have to pay for the difference. estimated head count for food purchases. On February 8th we will be hosting the Heart Ball in recognition of American Heart Month and Valentines day. Bring friends and you're special someone to this night of fun and food. Do I have to go? - If you are a member or officer of HOSA you are obligated to attend this event. As a member of NW HOSA, you are required to do a certain number of PTA Thrift Store hours in order to remain a member. This is a very easy activity that you would not have to do very often. By working with a PTA Thrift Store near you, NW HOSA gets paid for your hours. That money will be put into NW HOSA competitions and activities. If you wish to compete with HOSA this year, you must first sign up! 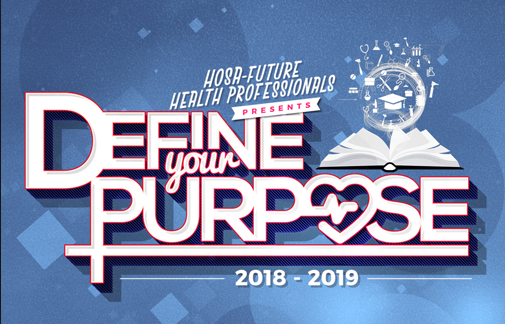 Competing with HOSA is an amazing opportunity to create lasting relationships not only with the people within NW HOSA, but those from other schools of the district, state, and nation. You also can gain extremely useful knowledge of the medical field from your competition and the workshops within the competition. Through expositions, you may also learn about colleges and organizations that have programs that specifically cater to your goals. If you would like to bring snacks to our next meeting please sign up here! Please Visit our Social Medias!